Poncho with hood, Open size approximately 100x120 cms. - Express Corporate - Promotional Products - Delivered Fast! Product Categories Summer, Sun & Beach Logo Ponchos Poncho with hood, Open size approximately 100x120 cms. Poncho with hood, Open size approximately 100x120 cms. 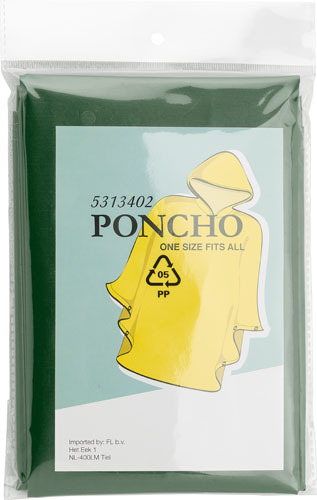 Poncho with hood, made from 10mm PEVA. Open size approximately 100x120 cms.